We have the best staff here and celebrate each other. World Down Syndrome Day is March 21. Post your photos on our FaceBook page of your socks 'to symbolize the 'uniqueness of the triplication (trisomy) of the 21st chromosome which causes Down Syndrome." Shop for your socks at John's Crazy Socks. Personally, I am a big reader and always have been. I tend to read fiction or self help books, usually related to my word for the year. If you read January's newsletter you know that this year my word is CONNECT. This means I am hoping to spend more quality time with people, make time for more 1-on-1 time with each of my kids, prioritize date night, disconnect from technology more often and work on improving/maintaining the relationships with the people that matter most to me. You have the most honored educational award, you are “your child’s expert”. It is your job to advocate and ask questions for your child. Having a child in school can be challenging, let alone having to advocate for your child’s needs can be even more frustrating and confusing. Pediatric Interactions offers support and resources to help you navigate this process so you don’t have to “do it alone on the other side of the table”. Thank you to our many amazing families and professionals that have entrusted us to work with their children over the years. As we enter February, the month of LOVE, we are devoting this month to focusing on loving ourselves. While much of our time is spent loving and caring for others, it is important to remember to make time to love and care for ourselves ……….. Going to the dentist can be a cause for anxiety for most of us, but it’s a very different feeling for those with autism. Dental experts Dr. Greg Grillo and Dr. David Hudnall have spent countless hours helping patients and caregivers prepare for upcoming dental visits as well as helping them with tips and techniques that ensure proper oral health habits in the future……..
Get Rid of Sippy Cups…Are You Kidding? A sippy cup is usually the first cup parents use to transition their child off the bottle. Don’t get me wrong, the thought of “no spills,” my child drinking early by herself, and the convenience of traveling with a cup is a dream come true. That’s why sippy cups were invented and marketed to parents, not kids. How do speech/language pathologists work with dentists? Speech Language Pathologists (SLPs) collaborate and work closely with a number of other professionals. 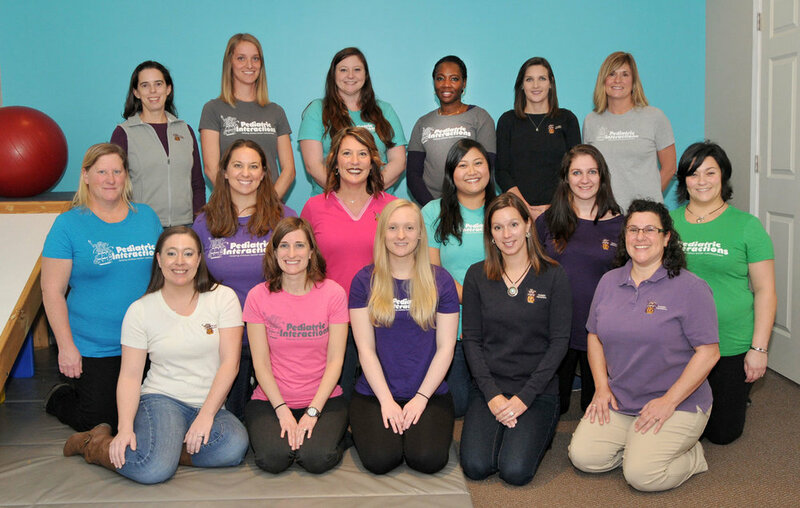 While many are familiar with SLPs working with occupational or physical therapists, you might not think of dentists as someone we might work with. There are a number of reasons we might work together…. We enjoy celebrating the accomplishment as your children turn 3 and “graduate” from Early Intervention. It’s truly our honor that you allow us to come in your homes and work along side you with your child. We to empower families and seeing your grow and learn new skills with you. Celebrations typically occur in winter and summer, watch for your invite as your child is turning 3.
ith the hustle and bustle of the holidays over, I don't know about you, but I am enjoying a slower pace! Don't get me wrong, I loved spending time with family and friends and making special memories with my kids, but I also love the start of the new year and the "freshness" of it. What are your goals, resolutions, and/or word for this year? Remember last year I picked a single word for my year- SIMPLIFY. Overall, I would say 2018 was a success in simplifying different areas of my life. For 2019 I have decided that my word is CONNECT. I am hoping to spend more quality time with people, make time for more 1-on-1 time with each of my kids, prioritize date night, disconnect from technology more often and work on improving/maintaining the relationships with the people that matter most to me. 2018 is coming to an end and it's been a great year. That wouldn't have been possible without all the wonderful families and professionals in our lives. See what we’ve been up to this past year. With the joys of the holidays also comes the stress of hosting events and having people over more frequently than usual for many. While we LOVE the holidays and spending time with family and friends, hosting events can make us feel a little overwhelmed with the cleaning and prep that has to happen beforehand. Tune in all month long for tips, tricks and hacks for cleaning!! Share your ideas on our FaceBook page! It is easy to fall into a lunch rut and pack the same things each day or to rely on prepackaged foods that can be expensive. Taking a 3 step approach can help provide variety as well as balanced, healthy lunches that kids will actually eat! Are you at a loss for what to get your kids for Christmas/holiday gifts this year or do you have a “deer in the headlights” look when others ask what they should get your child? Here are suggestions from PI therapists.